COMPASS Medication Alert Issue? Report it here. 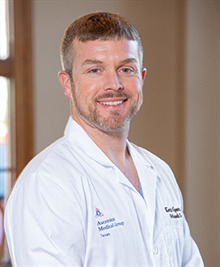 Dr. Caperton has been practicing Orthopaedic surgery and sports medicine in central Texas for six years. He lives in Belton with his wife and two children. He has experience and specialty certification in sports medicine as well as complex shoulder conditions and general orthopedics.